Data is from the July 2018 Valassis "Awareness-to-Activation Study" in conjunction with The NPD Group. 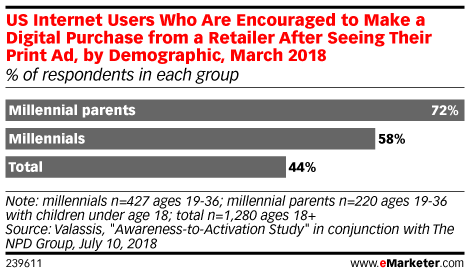 1,280 US internet users ages 18+ from an annually surveyed panel of 10,000 respondents were surveyed online during January 26-March 15, 2018. Valassis is a direct mail and marketing services company.